The south of this level was part of the original castle dungeons. In the north it connects to natural caves leading outside. 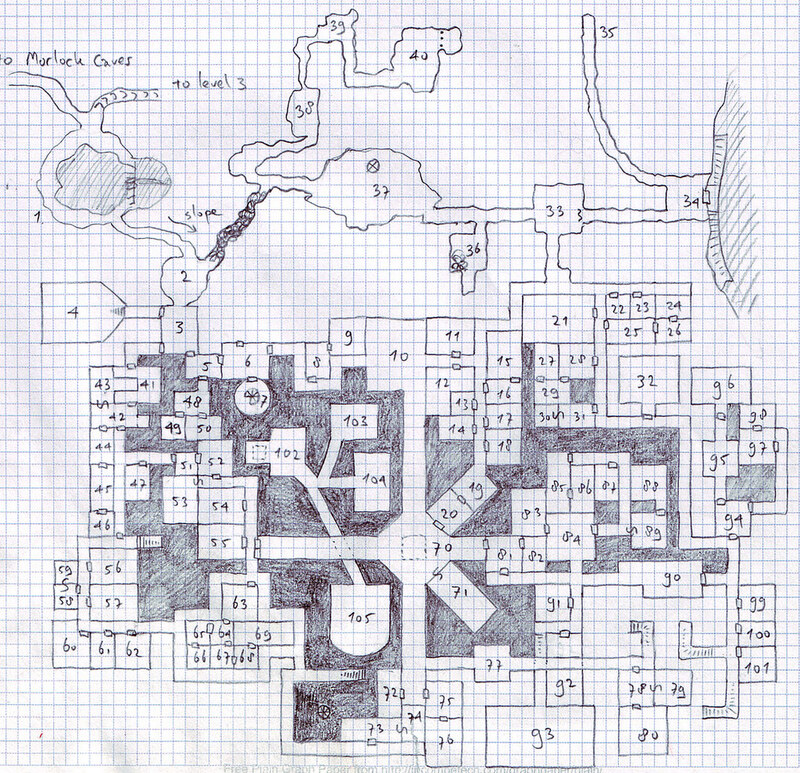 There is an elevator at #70, which can take PCs to levels 3 and 4 (mostly natural caves) and level 5, the Locked Level. The cave at #37 is a Chaos temple. It contains a sem-sentient idol whispering evil secrets to those present in the northern rooms (#2 - 26), driving them insane. The Temple was inaccessible due to the cave-in at #2, but the kobolds excavated it from the east, with the help of charmed pig slaves. The death knight's evil priest henchman practices his fool rites there. Areas #102 to #105 can only be reached from level 3 below.